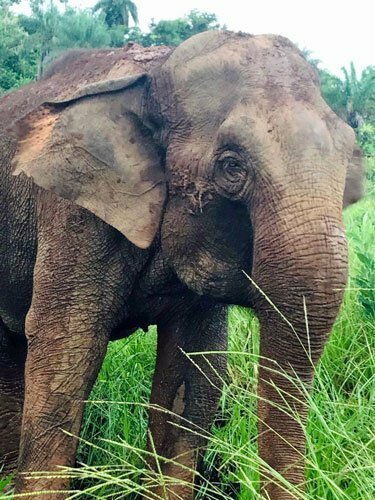 Not to be outdone (from Rana’s post yesterday), Guida decided to give herself a heavy coating of mud as well. Yesterday the girls spent a large portion of the day out by the pond again. 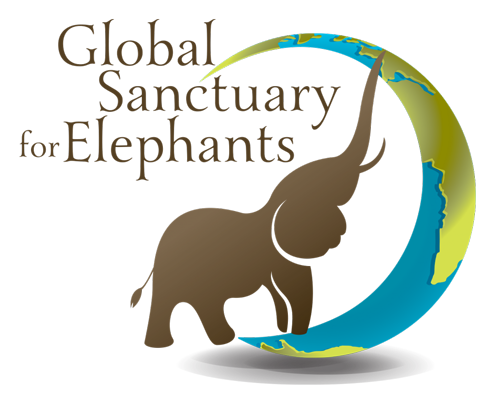 From the house you could see Maia and Rana walking side by side, Rana leaning into and away from Maia as she swung her front left leg out to step. They stayed side by side for a bit and then each went in their own direction, grazing quietly. 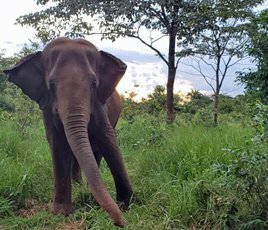 Guida popped up from the trees off to the side and joined up with Maia. It was a nice, lazy quiet day that the girls chose to spend close to each other. Gorgeous Guida, you look so pretty. You are being close to your sisters and forming a strong bond; good for you!